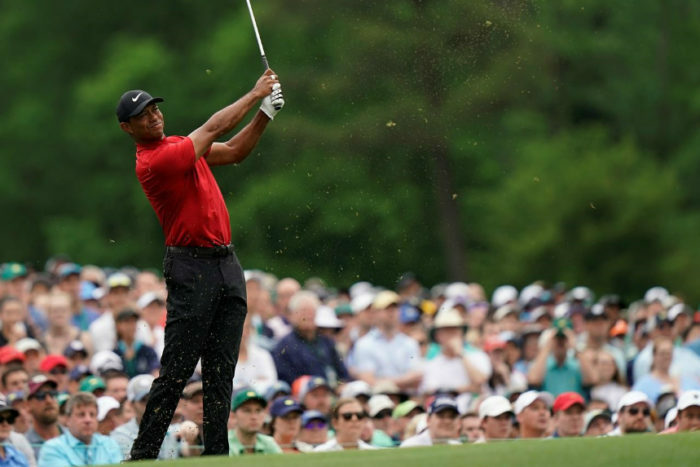 Tiger Woods executed his game plan perfectly despite trailing Francesco Molinari by two before stretching his lead when Dustin Johnson and Brooks Koepka came roaring back. These are the key moments to his victory, as selected by WADE PRETORIUS. With Molinari unflappable – at this point – Tiger faced a 70-foot birdie putt on the tricky ninth green. Downhill and breaking off the shoulder down to the left, he not only got away with a par, but nearly lagged his ball into the bottom of the cup. For his heroics, a three-putt would’ve handed the momentum to the leader, but instead, he was buoyed by saving par and almost producing one of the all-time great putts. A wayward drive left Tiger only the tiniest of gaps through the trees to a green guarded by water short and left. A 7-iron from 178 yards being two shots back… a lot could’ve gone wrong but for his excellent stroke-making. The shot was superb… an 8-iron into the perfect spot on a green that had already offered up two aces. His ball somehow stayed out of the hole, but a tap-in birdie to go two in front with two to play was pivotal into giving him the confidence to go aggressively off both the remaining tee boxes. In front of him, it heaped pressure on Dustin Johnson who promptly failed with his birdie at the last under the gaze of the large scoreboard that looks on to the green.